The mysterious songstress that everyone loves is begging her man to pay attention to her over Chinese takeout. Can you say, #RelatableAF. “Focus” is just as dark and moody as you could imagine. The same darkness and moodiness we feel when he’s just not giving us enough affection. Tuh. 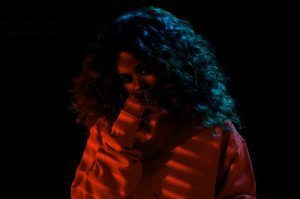 Along with a new video, H.E.R spills the tea on a ‘secret’ project with Rihanna. The 20-year-old Californian singer sat down with music journalist MalcolmMusic and revealed more collabs with Rig Rih on the way! Press play. Skip to the Rihanna tea at the 8-minute mark. SZA Says Her Next Album Will Be Her Best…and Her Last!